Spoiler Warning! 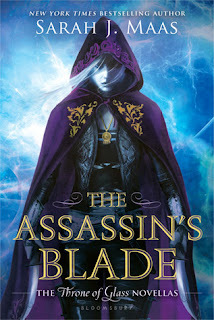 This review may contain spoilers relating to earlier books in the series. If you haven’t read the earlier books and are not looking to have them spoiled for you I’d suggest not reading this. Balogh has done it again! Then Comes Seduction is an incredible book that had me enthralled the entire time. Filled with hope from the successful marriage of her sister to the handsome Viscount Lyngate and determined to find the perfect man for her, Katherine Huxtable refuses to marry for anything less than love. When Baron Montford, the very eligible and notorious rake, Jasper Finley, makes a drunken bet to seduce the innocent Katherine within a fortnight, Katherine finds herself tangled in the web of a false scandal with the potential to irreparably tarnish her reputation and threatens not only her own prospects, but that of her family. 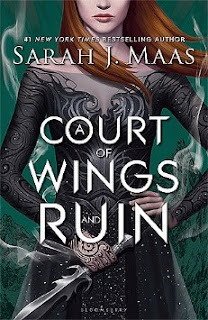 You know when you read a good book and then get really scared about the sequel because you don’t want it to be bad and ruin the way you think about the first book??? No need to worry about that here. Instead of focusing on Vanessa and Elliot, the second book in the Huxtable Quintet follows Katherine Huxtable as she works her way through the chaos of the London ton. I was concerned that I’d miss Vanessa’s story and wouldn’t get any of those cute moments which filled the first book but there was nothing to fear! 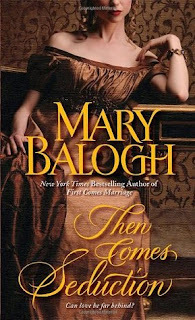 Mary Balogh really knows her romance! I was so attached to every character and their stories and wanted nothing but happiness for every one of them. Despite knowing what every single character was thinking I was still kept on the edge of my seat, trying to figure out what these complicated and flawed characters would do. Katherine is such a sweetheart and yet so in control. She is forgiving without being passive, feminine without being a doormat and bold without being brash. Katherine Huxtable is the ultimate heroine. Jasper is also a sweetheart, a soft-hearted sweetheart with a hardened exterior and a lot of walls. He is charismatic and charming and, even when all you want to do is hate him, you can’t help but fall in love with this teddy bear. Jasper would do anything to live the right life and longs to be true to his wife and loyal to his loved ones. He claimed to have not known what love was, but he showered it on everyone her ever cared for. Perhaps the most important thing about Jasper is his inability to express himself. He is a bit of an idiot when it comes to feelings, never saying what he felt correctly and earning himself a few decent slaps along the way. As a couple, there is no better duo than Katherine and Jasper – but who knows, there are still 3 books to go. As for the other characters, Stephen and Meg are as beautiful and pure as ever, Con is slightly confusing yet charming, Clarrie (Sir Clarence) is the perfect bumbling villain, Charlotte the perfect virtuous sister and the brief moments we got of Vanessa and Elliot made my heart swell with joy. Mary Balogh has raised the bar impossibly high in terms of romance and gentlemanly perfection and I would recommend this series to any lover of romance or history! Get your hands on the second book of this incredible series from Amazon or Book Depository - you will not regret it!